That feeling when you finally one up a local game store. 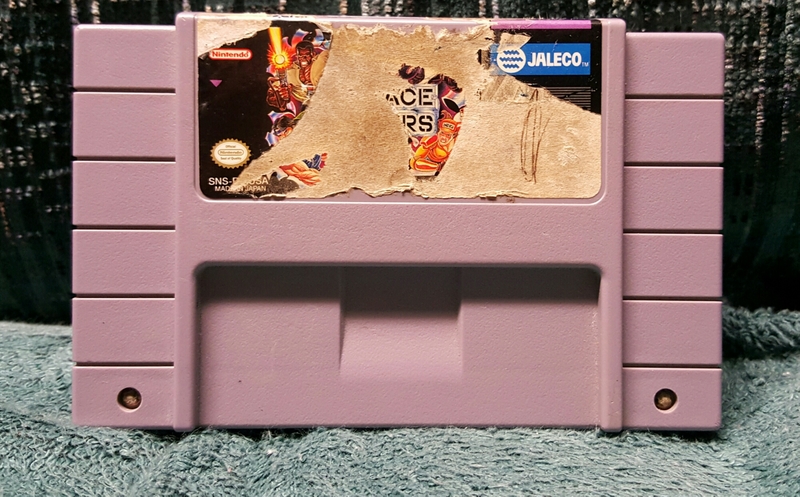 Keeping the price sticker on Metal Gear Solid as a trophy. The Mac controller is a wildshot. No idea of its value, but Mac stuff tends to command a premium. $20 for everything here. Sports games don’t often see release on PC, so the final years of major franchises tend to draw a strong mod community, upping the value. This includes MVP Baseball 2005, NHL 2004, and yes, NASCAR 03. Another day of garage sales led to the discovery of a single $1 Xbox game. 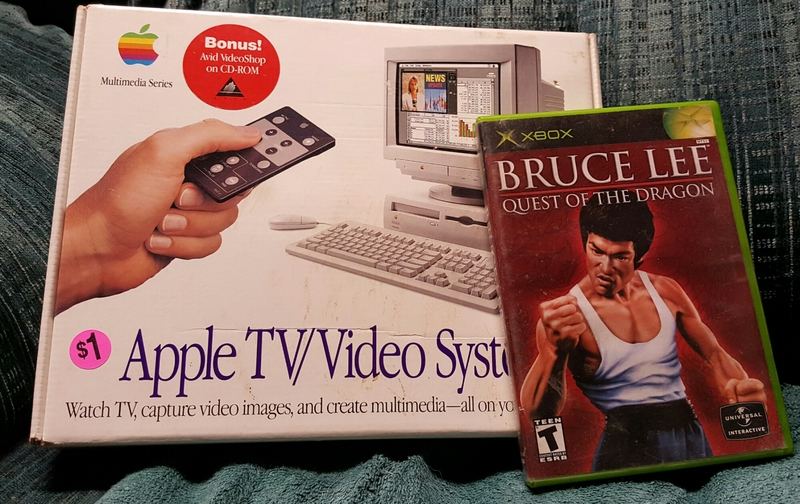 Nearly called it quits, but decided to test a small weekend flea market and discovered the Apple Video System – brand new except for the open box. For $1, that’s a no brainer. Been a while since I made a GameStop run and my Rewards card was due. Excluding the renewal, seven games for $15 is a deal I’ll take every day. It’s Peace Keepers, valued between $100-$120 on its own. Consider the condition, and it’s probably $60, making this one cart about equal to the others in value, turning this into a great find. 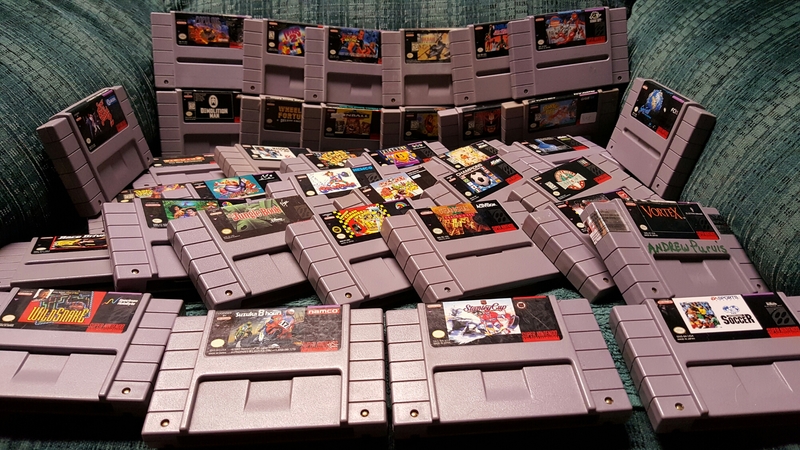 Whenever you find a lot, ALWAYS make sure to check the carts. Hidden gems like this show up all the time. $12 haul from a local game store, an improvement over an empty weekend of garage sales. 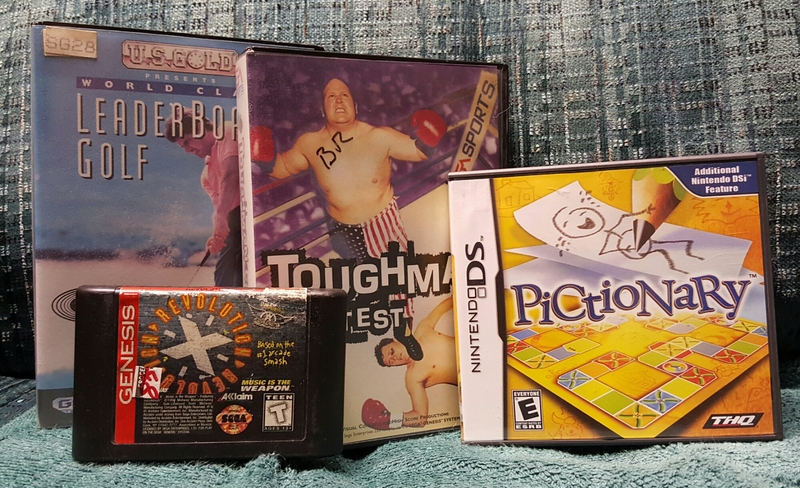 Nothing spectacular in this $12 haul between Goodwill and a local game store. Filling in the Genesis collection a little at a time. 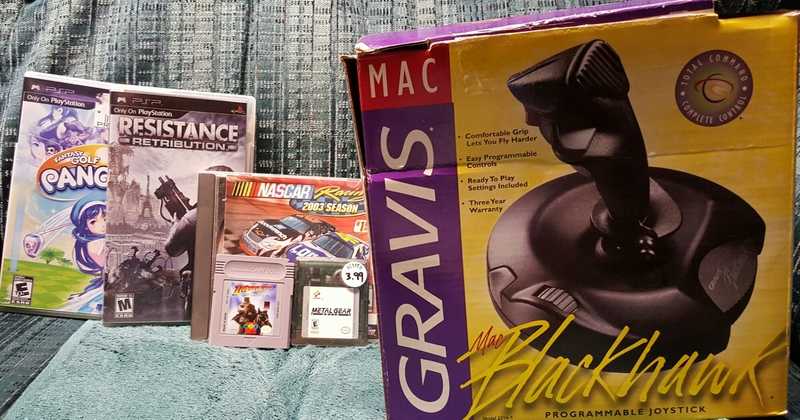 Another new game store opened in the area – replacing a now closed Buybacks as the eighth store total – so this is the $6.00 haul from my first visit. The Game Informer back issues were free so the roached copy of Robocop 3 was (technically) cheaper than the sticker price. A $30 buy from a local game store today. Stormlord was meant to be. I read the making of in Retro Gamer magazine (UK) last night and then came across the game today for the first time since I started collecting. It was fair to pay up. Shadow Warriors is different. 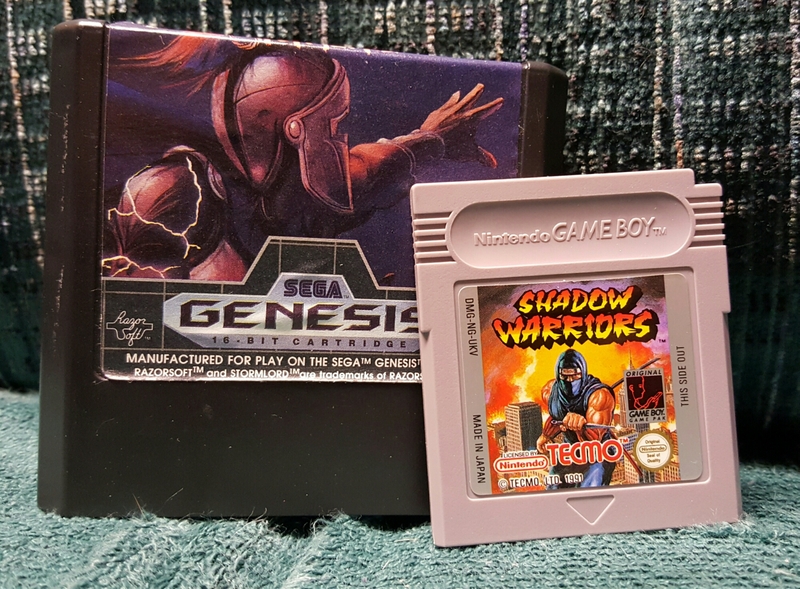 For 20 years, I’ve assumed there were two Ninja Gaiden games on Game Boy: Ninja Gaiden Shadow and Shadow Warriors. As I’ve learned today, no. Shadow Warriors was the European release of Ninja Gaiden Shadow, the latter of which I already have. At least I talked the store to $20.